September 2014 – OK, Fine. Is this something you can attack your opponent on? In a lot of states, answering “yes” would actually help you. Perhaps she – like Scott Brown – could run for office in a different state. Grimes has a tough balancing act to make with 15,000 coal jobs in the state. 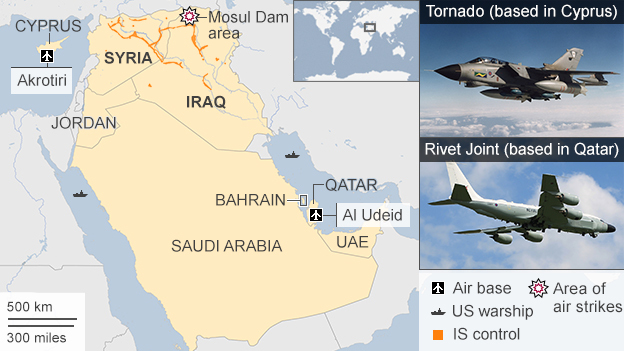 British jets have carried out their first strikes on ISIS targets in Iraq. The British Ministry of Defence said the attacks were in support of Kurdish units in the north-west of the country. They attacked a “heavy weapon position” and an armed pick-up truck. The strikes – by two GR4 Tornados – came four days after Parliament approved military action, and were said to be “successful”. Information from Kurdish sources suggests the RAF strikes had helped the Kurds retake an “important border crossing” at Rabia near Syria, said the BBC’s Clive Myrie in Irbil, northern Iraq. Defence Secretary Michael Fallon said both Tornados had “returned safely to their base”, RAF Akrotiri in Cyprus. He also said the “RAF jets assisted Kurdish troops under attack” and said they were in action in support of the Iraqi government. “On arriving overhead, the RAF patrol, using their Litening III targeting pod, identified an Isil heavy weapon position which was engaging Kurdish ground forces,” an MoD statement said. “Following this engagement, the patrol identified an Isil armed pick-up truck in the same area and conducted an attack on the vehicle using a Brimstone missile. Earlier, British Foreign Secretary Philip Hammond said Britain would not be “panicked” into dropping bombs in Iraq by reports that militants were advancing. He said the RAF would carefully target IS, as hitting civilians would have the “opposite of the effect we are intending”. A child screams, a deep male voice says ‘I have your daughter’ — but it’s all a scam! MILWAUKEE (WITI) — Phone calls are being made nationwide, and they’re the kind of calls no parent ever wants to get. On the other line is someone who says the child is in danger — but FOX6’s Contact 6 says it’s all a scam! A week ago, Dr. Mark Hyman received a phone call at work he never thought he’d get. “The phone call comes in that it’s a colleague that wants to speak to you and then all of a sudden you get broadsided by this screaming voice,” Dr. Hyman said. “I hear a young girl scream and they yell ‘Daddy they have me’ and then a very deep male voice comes on the phone saying ‘listen to me carefully — I have your daughter,'” Dr. Hyman said. In a piece for The Intercept, Glenn Greenwald claims the terror group Khorasan doesn’t actually exist and was made up to stoke fears and justify attacks in Syria. TYT takes a look at it. The Dallas Cowboys defense is different. Not dominant, but different. And no doubt good enough to give a team with an elite offense a chance to win on a weekly basis. 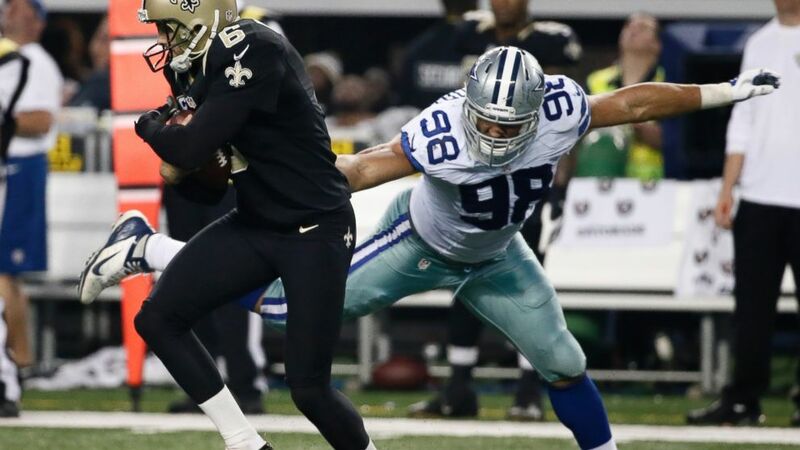 Sunday, Dallas routed the New Orleans Saints, 38-17. The New Orleans offense that humbled the Dallas defense last season entered half-time with a zero on the scoreboard. “We kind of put it on our shoulders this game that we’re going to impose our will in this game like they did to us last year,” safety Barry Church said. Update: this video is no longer available on YouTube.